Call Now for Kubota Tractors! 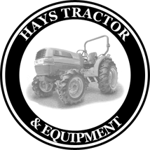 Hays Tractor & Equipment is one of the reputable companies who provide tractor sales and services to customers in Mansfield. We are a female-owned business that has been consistently providing top-notch equipment backed with caring customer service for 67 years. We are an authorized ECHO and Shindaiwa Dealer and feature a complete inventory in our showroom. To learn more about our services, call us at (470) 205-9260. Call Today for Tractor Parts! Copyright © 2018 haystractor.net All rights reserved.